Fluoroscopy is the standard guidance modality for most percutaneous musculoskeletal interventions in humans; including long bone fractures, spinal fusions, and bone biopsies. It is an asset because of its excellent bone-tissue contrast and real-time imaging. Advanced fluoroscopy has greatly improved the accuracy of incisions and hardware placement, while minimizing tissue trauma. 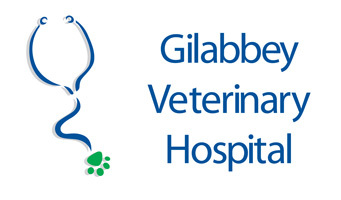 Here at Gilabbey Veterinary Hospital, we incorporate its use into new procedures and these are continually being developed. 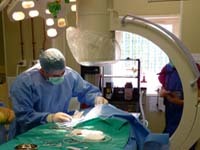 The use of fluoroscopic techniques in veterinary patients offers a number of advantages compared to more traditional therapies. These procedures are minimally invasive. It entails less disruption of the periarticular soft tissue since most implants are placed through 0.5 cm stab incisions or mini approaches. Decreased soft tissue disruption leads to less pain, reduced blood loss, and less chance of infection. 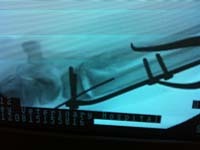 In most cases, return to use of the limb is quicker because of the reduction in surgically induced pain. 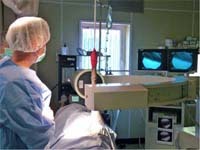 Minimally invasive surgery techniques reduce the length of hospital stay, cut hospitalization and anesthesia charges, and diminish anesthesia time.